One of the things that I’ve learned in all of my years of racing is that your best results come when you least expect it. I was entering this TT purely with the idea of using it as a training workout. I knew I was in decent shape, but didn’t know how much threshold power I would be able to put out for 20K. The good thing about this race is that conditions were nearly ideal…upper 50s with almost no wind. By racing Cat 3, I was one of the last riders to start. Thus, I knew I would have lots of people to chase. I used my normal TT strategy of going out hard the first few minutes to get up to speed, backing off to my cruise zone, then picking it up at the end. I wasn’t really paying much attention to my power, and was mostly focused on how I was feeling. I started noticing my speed and my mile splits. Yikes…I was going fast! Since Fiesta Island is 3 laps, you can gauge how you’re doing and what your finish time might be. After the first lap, I was pleasantly surprised. I was still feeling good, but was worried I might lose it on the next lap. After the second lap, I noticed that I hadn’t really slowed down much. I was really starting to hurt (a good thing in TTs), and just dug deeper knowing I was on PR pace. I really wanted to break 27 minutes, so I kicked into overdrive the last mile. Crossing the line, I looked down at my time. Wow! I had never broken 27 minutes before on this course, and I annihilated my previous best average speed. My PR had been 26.8 MPH, but this time it was 27.7 MPH. Normally, I might expect a PR of ~0.2 MPH, but not a whole MPH. I think my new position made a huge impact, as did averaging around 300 watts. I have no idea how I’ll do in the future, but I was happy to make such a leap in this race. Several other guys had super fast times, but mine was good enough for first in Cat 3. Again, the best things happen when you least expect it! 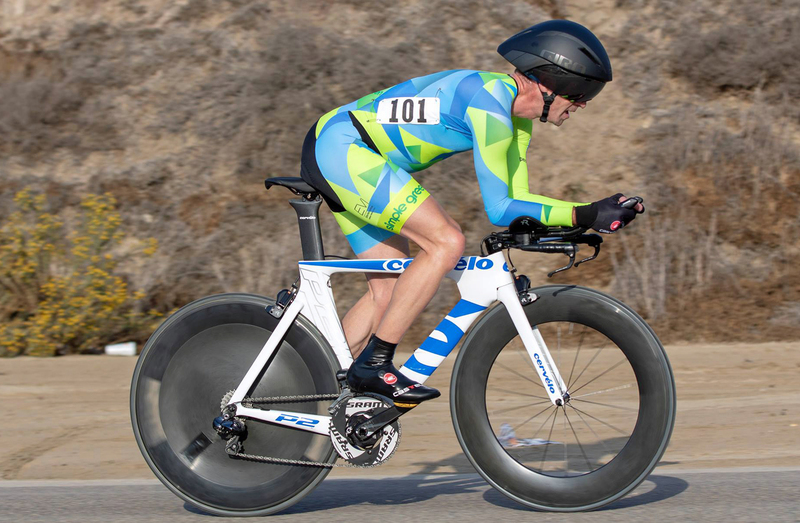 At full speed in Fiesta Island ….27.7 MPH average. 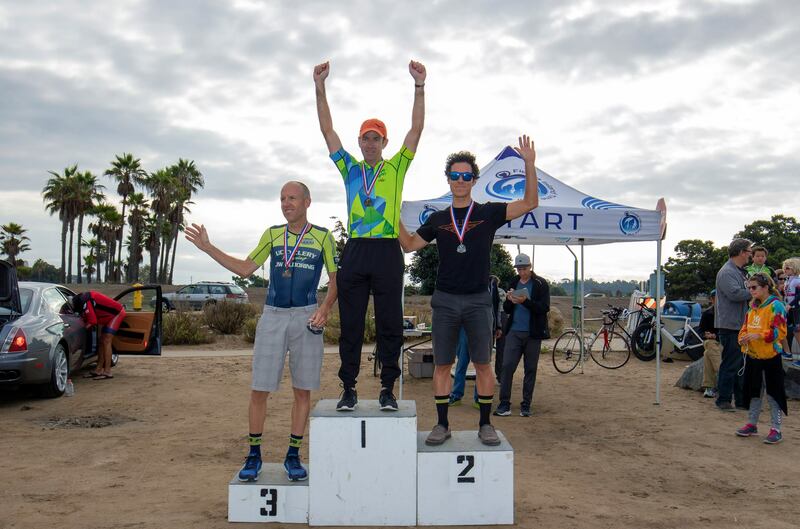 FIrst place in Cat 3.